Dr. Vizuete completed his undergraduate training at the University of Texas at Austin. He obtained his medical degree from the University of Texas Health Science Center in San Antonio in 2012. 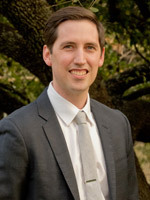 He also holds a master’s degree in public health from the University of Texas School of Public Health in Houston. Dr. Vizuete completed Internal Medicine residency and Gastroenterology fellowship at UTHSCSA where he was named the Chief GI fellow. He joined the Gastroenterology Clinic of San Antonio in 2018. Dr. Vizuete’s clinical and research interests include: colon cancer prevention, inflammatory bowel disease, eosinophilic esophagitis, and nutrition. He has published numerous articles, presented at national and international meetings and received the medical dean’s award for best basic and clinical research project at UTHSCSA in 2017. He is board certified in Internal Medicine and Gastroenterology.